Despite its lowcountry roots, shrimp and grits has been embraced by Houstonians, for whom the dish is the perfect marriage of Gulf seafood, Cajun spices (which are found in our versions of the dish more often than not) and Southern grits. I'm willing to bet that most Houstonians would recognize the dish as something of our own creole creation before they'd recognize it as coming originally from South Carolina. Perhaps because it's not a native dish, shrimp and grits gets poorly treated and battered around by clumsy cooks far too often in Houston. Ideally, it's a dish that's prepared and presented very simply -- it's only a few shrimp and a couple spoonfuls of cooked hominy, after all. 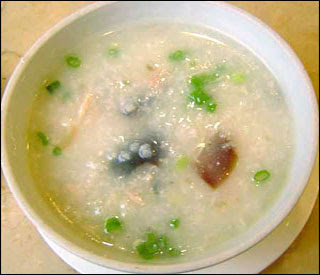 Instead, I've witnessed incarnations of the stuff that range from disgustingly baroque (truffles don't belong on everything) to mystifyingly cooked (grits should never resemble congee nor ready-mix) to woefully bare-bones (simple is best, but you do have to at least salt the grits and add some butter to them). Not so at Shade, where Claire Smith has been turning out impeccable shrimp and grits in her own signature style for years. I love that her shrimp don't come swimming in a bowl of grits, but are rather presented on their own. An ample serving of grits accompanies them should you decide to mix them -- which I do recommend -- but the parts work well separately too. In true Texas style, the shrimp at Shade are served fried to a golden brown, sweet and plump under their crunchy batter. They rest on top of a bed of Frank's Red Hot sauce that offers a nod to lowcountry cuisine with its vinegar tang, while the buttery grits offset the spice that the dark orange sauce offers up. And in the grits themselves, you'll find bacon and cheese -- which could, again, border on baroque -- but Shade shows just enough restraint when adding the extra ingredients, making the grits cheeky instead of overly cheesy. And the best part of all? You can have a dish all to yourself for only $10 during Shade's excellent happy hour.